Because it is really fun! If you are the kind of person who really enjoys learning about how food is made, and enjoys creating an artisan product in your own home, then you should try your hand at making cheese. Perhaps you have brewed beer, fermented wine, baked bread, cured meat, made vinegar or brined pickles. Making cheese requires many of the same skills and produces the same rewards. You may not create the cheese you set out to make, but you will have product you can proudly show off as your own. If you enjoy eating cheese, making your own cheese at home will educate you on what it takes for the commercial and artisan cheesemakers to produce their product. You will appreciate the labor and costs of making cheese and understand why artisan cheese can cost $30, or more, a pound. after one month of aging. Once you have learned how to make a few different types of cheese, the huge selection available in the cheese case at your favorite store will be understandable. You will see how the same ingredients of milk, starter, rennet, and salt can make so many different cheeses. You will know what to expect from a cheese based on its type and milk source. The conversation you have with the cheesemonger will be become intelligent and you will be able to make a choice with confidence. It is the same experience you may have had when talking to a wine merchant after you have taken the time to learn about winemaking and how to taste wine. Over the next few months, we will expand this site to cover some of the basics of cheesemaking, tricks to making your own equipment cheaply, and we will add a few recipes that are good places to start. 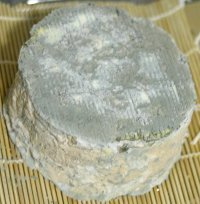 For now, see our resources section for some links to other web pages that can take you further down the road of starting your new hobby of home cheesemaking.